Yoga Ashram: A sacred place that is devoted to the development of spiritual activities in the field of yoga, such as studying scriptures and meditation. To truly understand the essence of Yoga, it is recommended that one lives in an ashram in India. And also we at Yoga.in highly advocate an ashram experience as we believe ashrams allow you the space to practice Yoga, like no other. Hence, we thought of creating a list on the top 12 authentic ashrams in India. One of the defining reasons for creating this list is the fact that our team members have visited most of these ashrams. Recommending ashrams is a big responsibility and we are open to your suggestions and feedback. We do believe that you cannot compare one ashram to another as each has its own special history and lineage. They also have different approaches to Yoga, therefore one is no way better than the other. Our question to you is, which one of these 12 ashrams suits you the best? You don’t have to be a dedicated yogi to have heard of Amma. Popularly known as the ‘hugging saint’, Amma travels around the world to share her ethos of peace and love. But her home is in Amritapuri, and a stay at her ashram means you’re most likely to receive her darshan — a loving hug that is said to change the recipient’s life. This tranquil ashram was founded by humanitarian and spiritual leader Sri Sri Ravi Shankar in 1986. 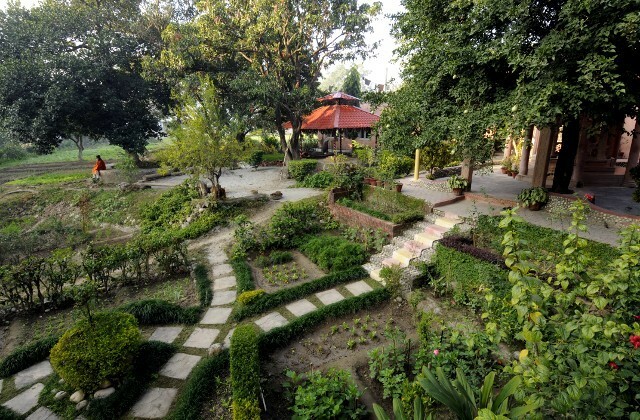 Amidst nature, the ashram’s picturesque campus provides a serene atmosphere for yogic practices such as meditation, asana and other yogic activities. Although the ashram seems like a small city within a city, it encompasses in an environment that urges you to go deep into an inner inquiry. This is the “youngest” ashram on our list. We refer to this ashram as the “youngest” because although the teachings are sourced from traditional Hatha Yoga lineages and Ayurveda, the ashram space is relatively new. AyurYoga Eco-Ashram is surrounded by an 18-acre organic farm where you can learn yoga in a traditional ashram environment. 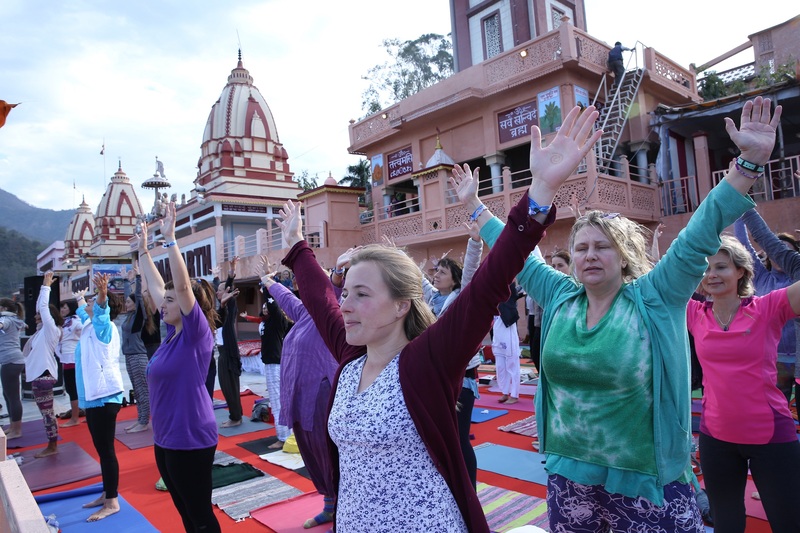 Although the ashram teaches traditional yoga, these lessons are adapted to suit the modern world. A very authentic yoga ashram experience. Situated in a remote part and in a poor area of Bihar. You will not have an opportunity to leave the ashram once you set foot inside. Do go there for longer time. It is a tough experience for most of the Westerners, so only go there if you are keen on entering into an honest ashram environment and to dedicate yourself to the rules there. There is no room for your self-fulfillment – but more room for your self-realization. ICYER is not for short-term stays, it’s in fact for the opposite – Longer stays. You need a full year of preparation just to be allowed to enter the doors of this ashram. And once accepted, the doors will close for 6 months. Just two handful of students are picked every year. This is the closest experience to the traditional tradition of ashram learning in India. Sadhguru (Jaggi Vasudev) is a very popular Yoga guru with more than a million followers in India and plenty of exposure around the world. As a guru, he has also a very popular online presence. His online videos, in particular, are widely shared. He built up an entire Yoga city near Coimbatore of incredible beauty, where they conduct many courses (including a Teachers Training Course). Still, the experience here is controversial – as it is with every very famous guru with a marketing and PR team backing them. Isha Yoga’s popular programs are the Inner Engineering, Isha Kriya as well as their Yoga Teacher Training course. The crowd consists of Indian as well as Westerners. If you want to see him personally, check his schedule as he is a frequent traveler. In 1924 Swami Swami Kuvalayananda who experienced the profound healing effects of Yoga started to do detailed scientific research on the practice. His aim to look at Yoga through the lens of science was also a step toward demystifying Yoga, which was seen as a practice of the mystics. He is also known as the Yoga scientist and the founder of Kaivalyadhama. The ashram offers many short-term courses, PG Diploma and (Teacher) training courses in the field of Yoga and Ayurveda. More a city than an ashram. Parmath Niketan is one of the biggest ashrams in India with over 1000 rooms. 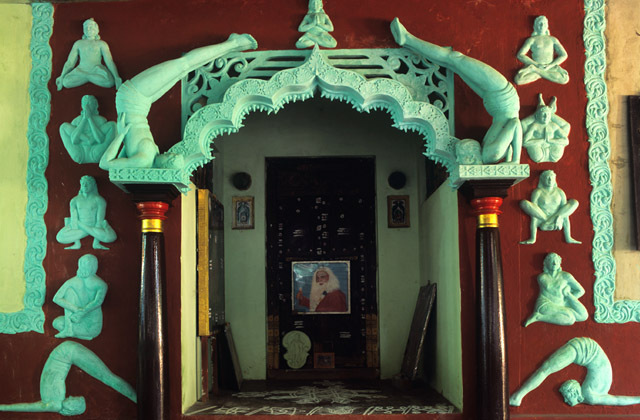 The ashram has an open door policy which allows you to walk in and out as you’d like to. You do not have to follow a strict routine and also timewise you need not stay very long, although the initial stay is limited to 15 days. The perfect ashram for a short deep dive into ashram life. One can stay at the ashram just for 8 days, and within these 8 days (which are also very affordable) you will experience all aspects of a traditional Indian Yoga ashram. Highly recommended for beginners and long-time yoga practitioners who want a slice of ashram life. Based on the time of year, the groups can either be filled with more Westerners or Indians. Known as the jnana yogi who spent his entire life on the holy mountain Arunachala, almost entirely in silence and absorbed in bliss, Ramana Maharshi is one of the best known sages in a temple town that has attracted hordes of them over the centuries, and his surviving ashram is the biggest attraction itself, after the holy mountain and the 9th century Arunachaleshwar Temple. Set in the southern foothills of Mount Arunachala, Ramana Ashram attracts devotees, pilgrims, and tourists drawn by the powerful energy of the mountain itself and the caves and spaces on it where Ramana Maharshi meditated. Indeed, a visit to Ramana Ashram should include not only a visit to the meditation hall with Ramana Maharshi’s samadhi (tomb), but also a meditative walk up the mountain path from the rear of the property to these caves, Skandashramam and Virupaksha Cave, which are maintained by the ashram. There are ample spaces at the ashram to journey inwards, meditate and contemplate, in line with Ramana Maharshi’s teachings that expounded the path of self-inquiry. Please note: The ashram does NOT offer postural yoga lessons, but the daily schedule includes readings from Sri Bhagawan’s books, chanting of the Vedas, Puja ceremonies, and other devotional activities. A small and authentic ashram. Unfortunately, Mataji (who is of German origin) is not around anymore, but their children are taking care of the ashram’s activities. This ashram is a good bridge between an authentic Indian ashram experience and a Western mindset. In the foothills of Kerala’s the Western Ghats, this ashram is surrounded by incredible natural beauty — forests, mountains, and colorful flowers are everywhere. It’s a warm, friendly place and offers instruction in classical yoga techniques and meditation, all rooted in the teachings of Swami Sivananda and Swami Vishnudevananda. The ashram is perhaps the most popular ashram for Yoga TTC in India, which sometimes sees up to 200 students in a single course. Do keep in mind, this type of Yoga is not popular with the Western Yoga studio approach to asana, but Sivananda Yoga provides you with a broad and holistic overview about Yoga in general. The complete list with all the background information and tips on ashrams are covered on our Yoga Ashrams in India page. Important: To view the list click on the hyperlinked orange text.